This excellent cultivar is a tremendous improvement over the species. The leaves are twice as big as the species and it rarely blooms. It is a clump former, and quickly will grow to cover a 3' wide area. 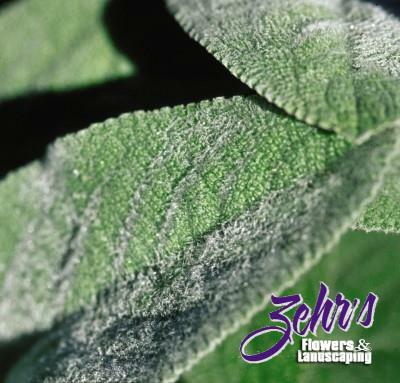 The fuzzy silver leaves are an excellent contrast and its low habit make it a great plant for the front of the perennial border. Holds up very well in hot humid summers. Best in full sun with well-drained soils.